The little number on the scan says it was 2002. I remember that day, like it was yesterday!! I was still going to the university, waiting in line to do some photocopies as I was not really a role model student with my notes. I saw my classmate having few photos from his last trip in his hands. He went to Tuscany, Italy. The photos really intrigued me and I asked him if I can check them out.. he agreed.. and I was totally impressed, inspired, blessed! I was looking at all those B&W and sepia landscapes thinking that ordinary human beings cannot do things like that. I was sure that photos like this were just some kind of imaginary places we can only see on huge posters that we were putting on walls in our rooms as kids. It suddenly hit me, out of the blue, that I can do it too! I was looking at that photo and just wanted to make one on my own. 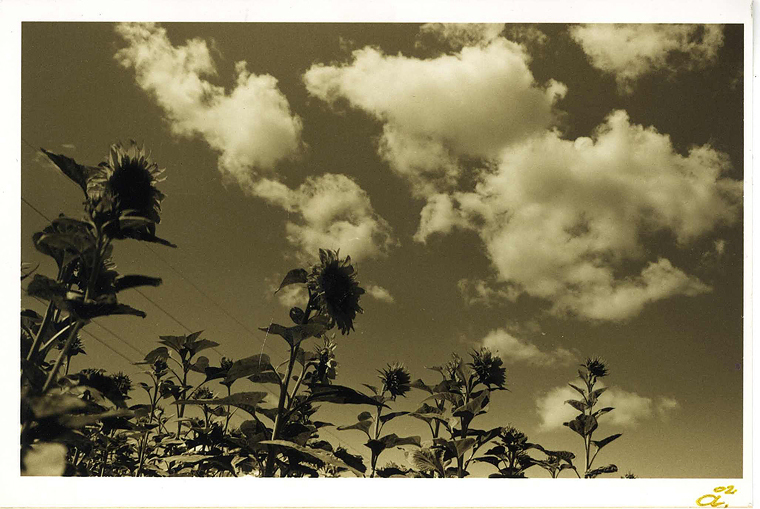 He saw the smile on my face and asked me if I would like to keep it.. well the answer was clear and he gave me this beautiful sepia image of a sunflower field touching the clouds of Tuscany. I was happy. I still keep it and it means the world to me! Today I can easily say that Andrej was definitely the one who triggered my enthusiasm about photography and I’m thankful for that. Browsing the archives I found another precious thing.. it’s my first photo after the inspiration I’ve got from Andrej’s sunflowers. Far from perfect, it’s a photo that means a lot to me because it’s the photo of the mother of my child and the person who still keeps me inspired. 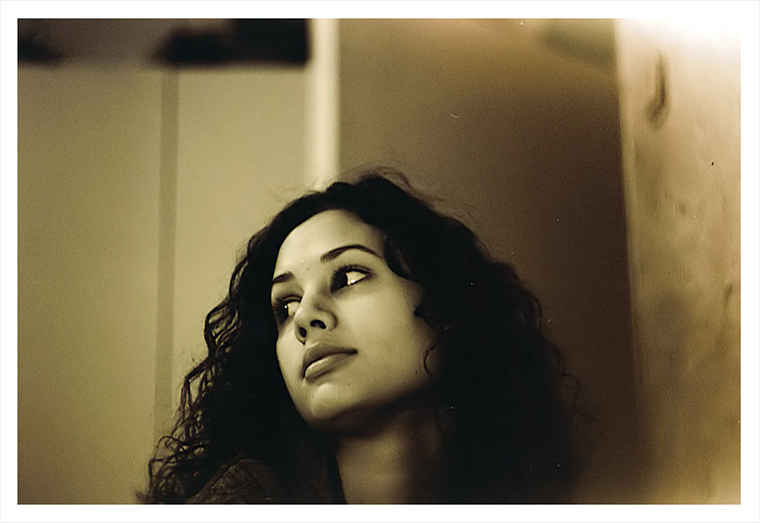 It was taken with an old Zenit-E camera I found in some old box of my parents. I don’t use it anymore, but it still deserves a special place on a shelf in my living room. I wonder what would have happened if I never saw that photos? Do you still remember how it all started?